Classic Monsters Dracula Prince of Darkness (1966) Ultimate Guide - Lee as Drac! 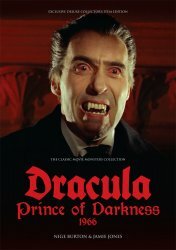 MyMovieMonsters.com > Monster Magazine Marketplace > Classic Monsters Of The Movies (UK) > Ultimate Guides > Classic Monsters Dracula Prince of Darkness (1966) Ultimate Guide - Lee as Drac! Direct to us from the creators of Classic Monsters of the Movies magazine in the UK. The Dracula Prince of Darkness Ultimate Guide evokes the brochure you might have bought at the cinema in 1966! We ship same or next day so don't wait for the UK! The table is set and your rooms are ready. It's time to meet the Count again, with a full-color tribute to 1966's Dracula Prince of Darkness. This lovingly produced guide is the perfect companion to the movie. Christopher Lee's second appearance as the legendary vampire is an impressive one, but Dracula Prince of Darkness is packed with great performances. This guide's in-depth biographies reveal the stories of the cast and crew who turned this atmospheric, brooding story into one of the Hammer Horror classics. This Ultimate Guide is packed with stills and posters, its 36 pages bursting with information and imagery. Authors Nige Burton and Jamie Jones look at the making of the movie, its place in Hammer Horror history, and the many intriguing facts surrounding its production. The Dracula Prince of Darkness Ultimate Guide is a beautiful addition to your collection of Hammer goodies; don't miss out on your copy! 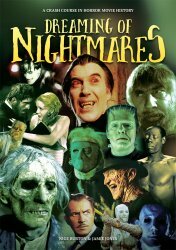 While supplies last we also offer issues of Classic Monsters of the Movies magazine, additional Ultimate Guides, The Monsters Day-By-Day Almanac and the Dreaming of Nightmares Crash Course in Horror Movie History guide. Missed the Dreaming of Nightmares Guide? Use the convenient Buy Both button below!